The most recent of Gasoline’s two-wheel custom work, taking the title “Tomahawk”, manages to transform one of the world’s most popular motorcycles into a custom dream machine worthy of any garage. 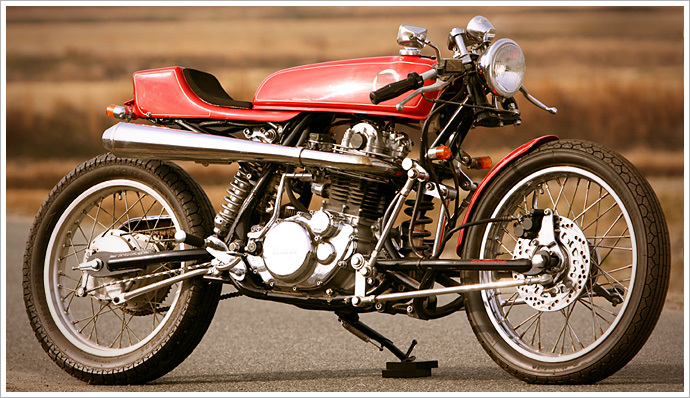 The Yamaha SR400 has been toyed and tampered many times before. 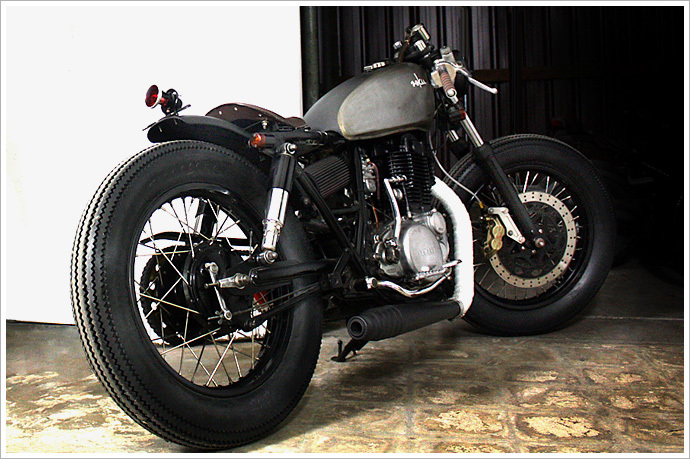 It’s an old favorite to work with, being one of Japan’s biggest selling motorcycles for over three decades. So you’d think that the platform might just have been exhausted. If so, it looks like no-one has told these Aussies; they have pushed the boundaries to create a classic thumper with a streamlined, modern edge. 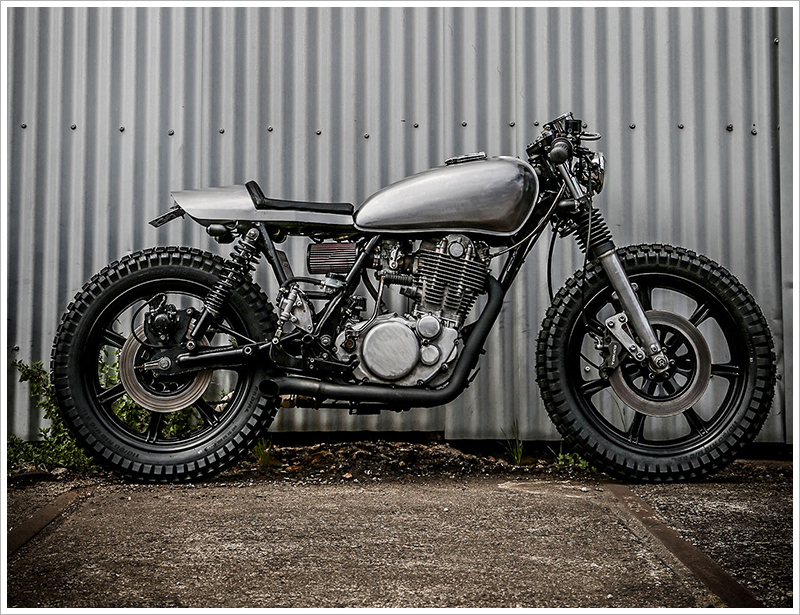 At first sight the transformation looks deceptively simple, but peer deeper and you can see the beautiful details that has been included by the team in their East Sydney workshop, Gasoline Custom Motorcycles, run by Jason Gasoline. 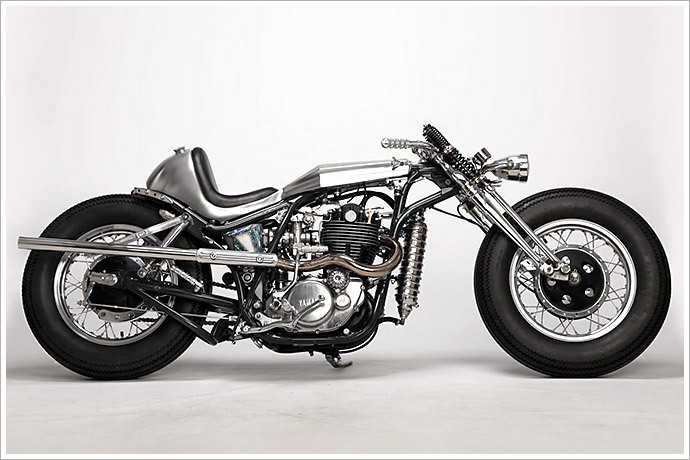 Here at Pipeburn we have a soft spot for thumpers. 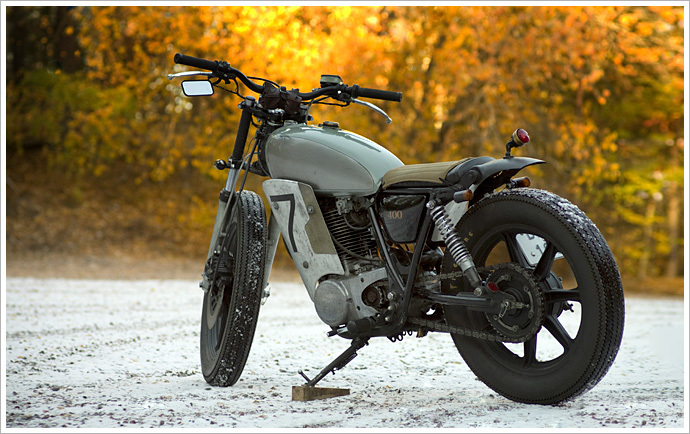 The thud-thud-thud of a single cylinder is music to the ears… and when wrapped in a custom motorcycle, it is even better. 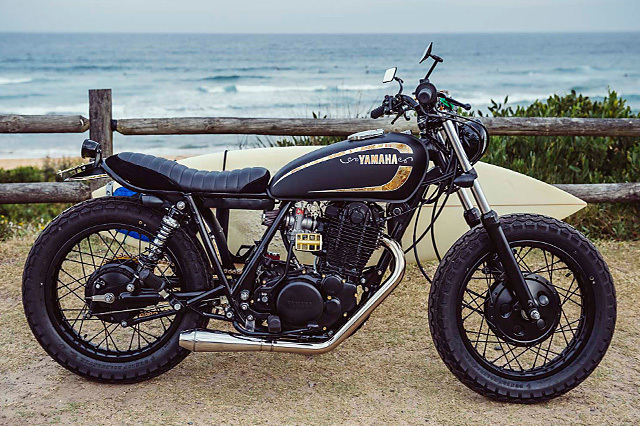 Based in Sydney, Australia, Zoku Motorcycles are also fond of single cylinder power – especially in the form of the legendary Yamaha SR. These bikes make for an easy starting point for custom builds, easy for any novice to try it, as the boys from Zoku found out when commencing the build. But it was worth it in the end, as they have produced a great build, with that thumping sound to boot. Can’t type. 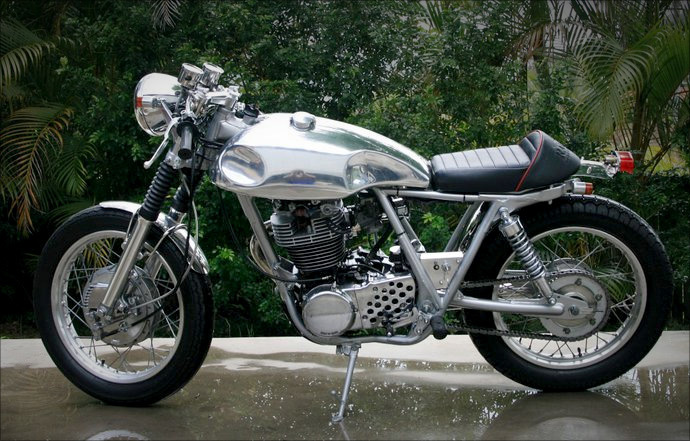 Brain melted by amazing bike. Must copy and paste thesaurus instead. Admirable. August. Best. Breathtaking. Choice. Elegant. Elevated. Exalted. Exquisite. Fine. Glorious. Gorgeous. Grand. Great. Lofty. Magnificent. Majestic. Marvelous. Matchless. Noble. Optimum Optimal. Outstanding. Peerless. Prime. Proud. Resplendent. Solid. Splendid. Splendiferous. Splendorous. Standout. Stunning. Sublime. Super. Superior. Superlative. Unrivaled. Just a quick update – we thought those of you who enjoyed the Raider Motorsports/Moz Rissman article we posted recently might be keen to hear some news concerning the latest creation from the Coffs Harbour shop. 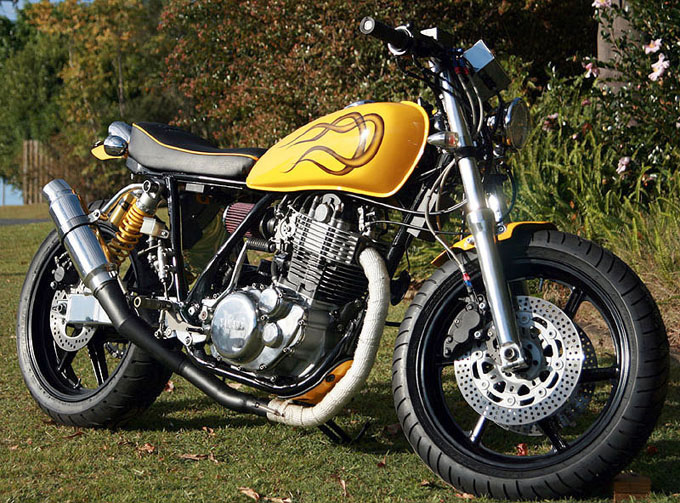 A few months ago we featured another SR400 built by Raider Motorsports in Coffs Harbour. Well, it looks like they’ve been up to their old tricks again – turning stockers into rockers. Their latest bike is the black sheep of the family and is appropriately named The Varkian – which is Finish for “By Stealth”. “As with all our motor-sickles, the Varkain is 100% designed and hand-built in our garden shed” says Maurice from Raider Motorsport. “The frame has been stripped, all the ugly OEM brackets and mounts hacked off before a trip to the sandblasters and then over to the powder-coaters. The engine has been disassembled, all clearances and OEM tolerances checked and/or refined prior to reassembly and some trick heat-proof coatings and making of lots of shiny bits and pieces. Engine side cases are powder-coated, as are the rims and hubs. The Varkain has a stack of custom and handmade accessories, far to many to mention and more than you can see in the pics, plus the usual neat bits and pieces our customers have come to expect, like new wiring loom, LED warning lights, new vintage Firestone tyres, new seat from our Nitro-Bed range, new custom paint, blah blah blah and stacks more!”If you want to view more pics of the Varkain build, from “stripped and naked to all dressed up and ready to play”, visit the Raider Motorsport gallery. The bike is for sale and is currently at Chidiac Motor Group showroom in Sydney if you want to check it out in person. Raider Motorsport are based in Coffs Harbour, Australia, approximately halfway between Sydney and Brisbane – it’s famous for having a giant banana and also where Russell Crowe owns a farm. 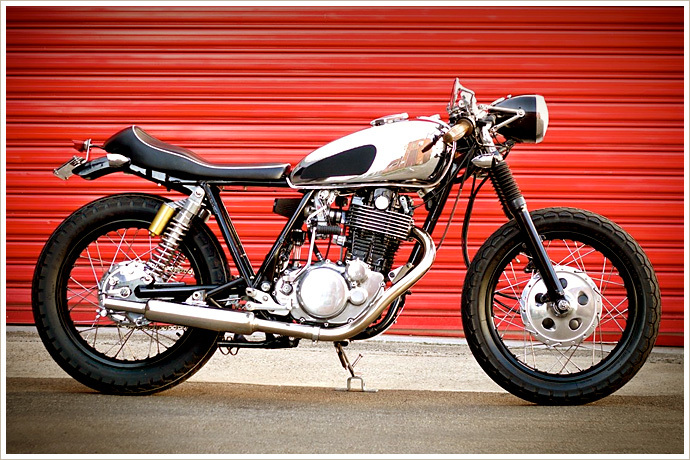 Raider Motorsport have built this SR400 completely from the ground up.